I hope so. This would be one the rare times where her/her team is thinking outside the box. There is some buzz going around that the single is dropping on MAY 10 and she is announcing/performing an acoustic version at the MET GALA. I think that Eli photshoot was more like their creative introduction to eachother as I vaguely remember sources saying it was like....an experiment to see where he can take her and she dug it. Hes been working with her ever since. It could also still serve as an example of the type of work we can expect from them visually in the future (sans that absolutely abysmal Enigma merch i mean...). MET Gala is actually a great idea to introduce a single/performance. It's much bigger than award shows like BBMA or even VMAs. If it's a great performance and she has a killer look for the gala, it can go viral. I know Madonna performed last year but let's be honest, while she is a legend, people are NOT checking for her like that. LG, meanwhile, is coming off a re=peak. Haroon replied to Haroon's topic in Video Games, Books, etc. 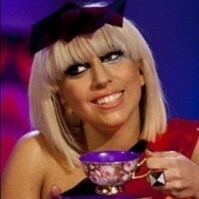 The thing is that Gaga has never performed at the BBMAs before. Even during her Fame Monster days. It would be weird for her to start performing there now after a history of not.